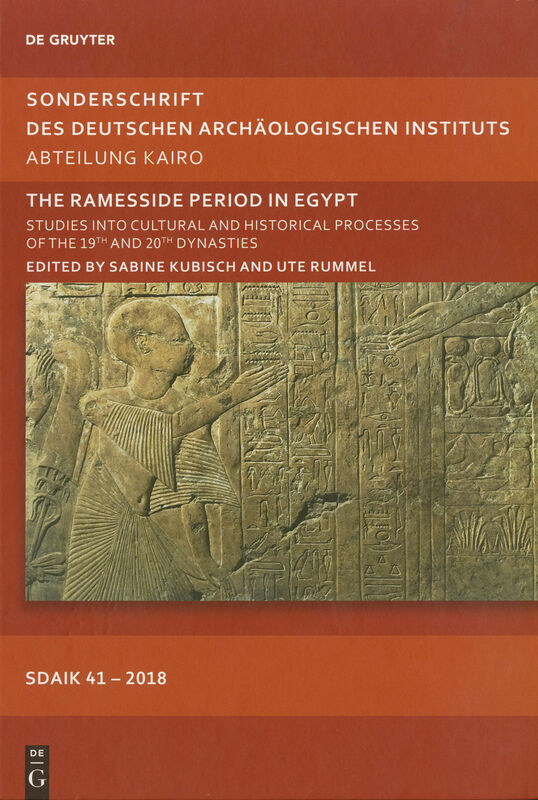 The Ramesside Period in Egypt: Studies into Cultural and Historical Processes of the 19th and 20th Dynasties. Edited by Sabine Kubisch and Ute Rummel. 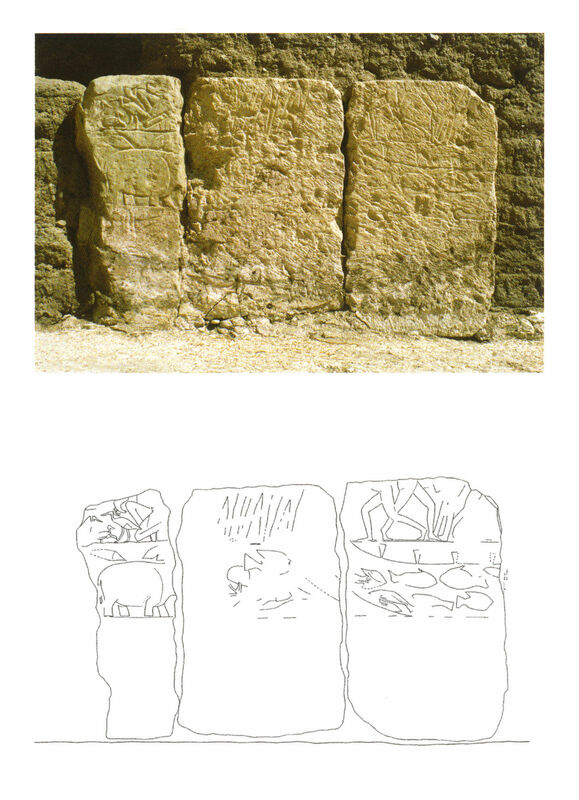 Sonderschrift des Deutsches Archäologischen Instituts Abteilung Kairo (SDAIK) 41, 2018. 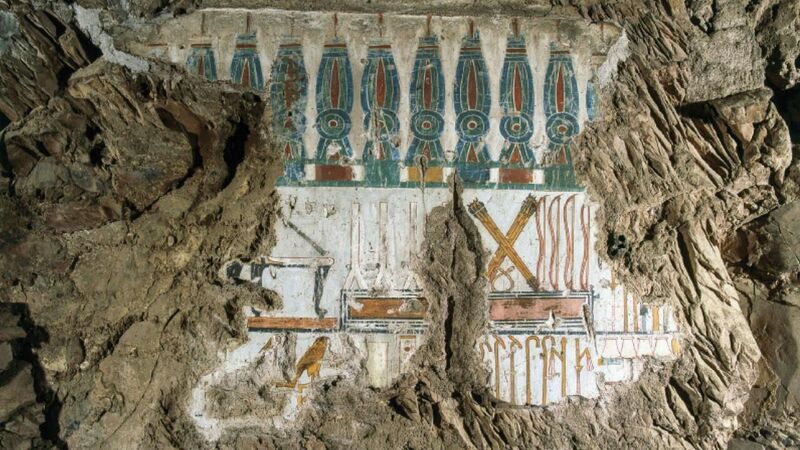 In recent years, the Heidelberg University’s Ramesside Tomb Project has been studying the motifs behind the decoration of the forecourts of two Ramesside tombs – one belonging to the High Priest of Amun Nebwenenef (TT 157 on Dra 'Abu el-Naga), the other to the Chief Steward in the temple of Ramses II Nebsumenu (TT 183 on el-Khokha), the former from the beginning, the latter from the second half of the reign of Ramses II. About 450 pieces of decorated limestone relief fragments came to light during the cleaning of the forecourt. While the interior of the tomb was decorated exclusively in raised relief, the blocks from the courtyard were carved in sunk relief. Despite the small number of fragments, the figurative motifs are nevertheless indicative of certain scene content. The function of the courtyard as a place of worship, a place for rituals and divine festivals is taken into account in the decorative program. For example, the sequence of the opening of the mouth ritual on the mummy was identified by the fragments from the southern courtyard debris. The motif of mourners with their hands crossed over their heads was also found on fragments. 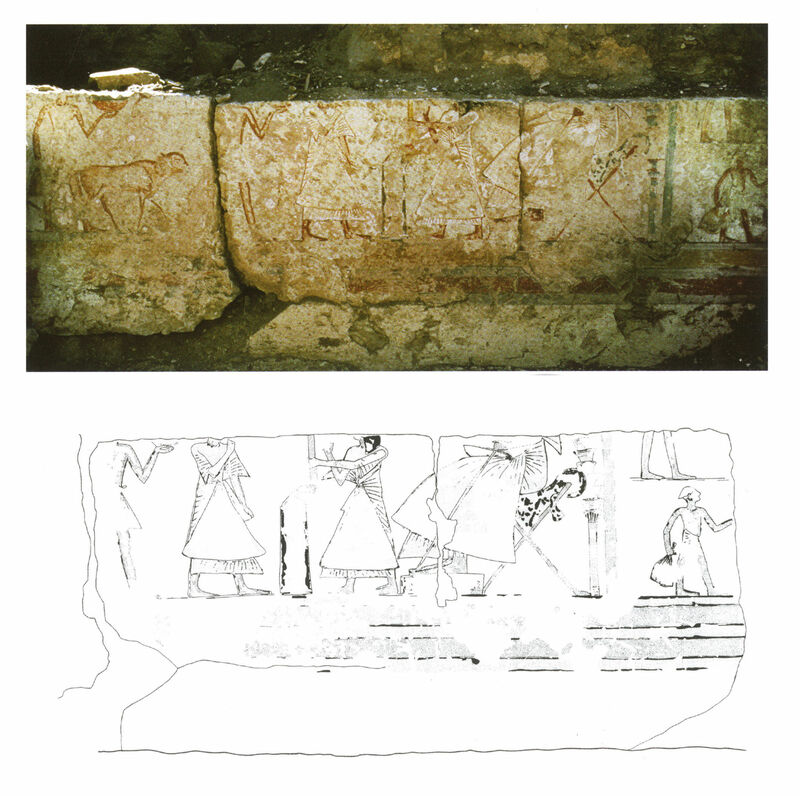 On the northern face of the forecourt, however, fragments show a unique and surprising theme for a Theban tomb, namely images that take place in a temple district portraying the tomb owner as High Priests in the service of the King. This includes scenes of provisions for the temple, the responsibility for the treasury and barns, and the supervision of all works and workshops. Among the most interesting fragments is the representation of the seated statue of a king in front of the column row of a temple. Accordingly, in the tomb interior, on the east wall of the traverse hall, there is a depiction of a pylon with eight flagpoles, which are recognizable by the lattice-like posts, but only on the facsimile and there only weakly, in front of which there are numerous offering tables. The assumption that it shows the Amun temple in Karnak, the office of the tomb owner, is justified by the eight pylon masts. The pylon was probably painted white, while the pylon gate is yellow or golden. The pylon towers show numerous cartouches of Ramses II (see figs. 30 and 31 below). The forecourt of TT 183 is too destroyed to be able to form a picture of its former decoration. However, numerous relief fragments, some of which were deposited in the interior of the tomb or found in the forecourt rubble, provide evidence that Nebsumenu also decorated the courtyard, but today we cannot identify the main themes. However, the remaining relief point to a completely different decoration concept compared to TT 157. All courtyard walls were provided with reliefs. On the side walls in the interior of the portico are ritual scenes, in the south the worship of two deities is recognizable. On the north wall, from the west to the east, motifs of the swamp thicket can be seen: a hippopotamus, bird catch, then fishing with the trawl net (figs. 55 and 56). Then follows a grape harvest scene (figs. 57 and 58). On the adjoining entrance wall of the courtyard only one scene has been excavated so far, namely the registration of the brought goods by the tomb owner sitting on a folding chair (figs. 62 and 63). Within the tomb, an almost standard motif is the extraction and delivery of products from the Delta and cropping and harvesting in the south. Not specified. The facsimile drawings were made by Sabine Kubisch and Isa Böhme. Figs. 30-31. TT 157. Traverse hall east wall, pylon of a temple of Ramses II. Figs. 55-56. TT 183. Hunting in the swamp thicket. Figs. 57-58. TT 183. Motives from agriculture. Figs. 62-63. TT 183. Registering product deliveries. Clean, single-weight lines represent the carved decorative elements (with no sun-shadow transitions indicated). The lines are occasionally broken up into shorter segments, specifying the fragmentary state of the surface. Painted details, wherever preserved and providing extra information over the courtyard’s sunk relief outline drawings, are registered within a color code system of light gray dotted patterns. 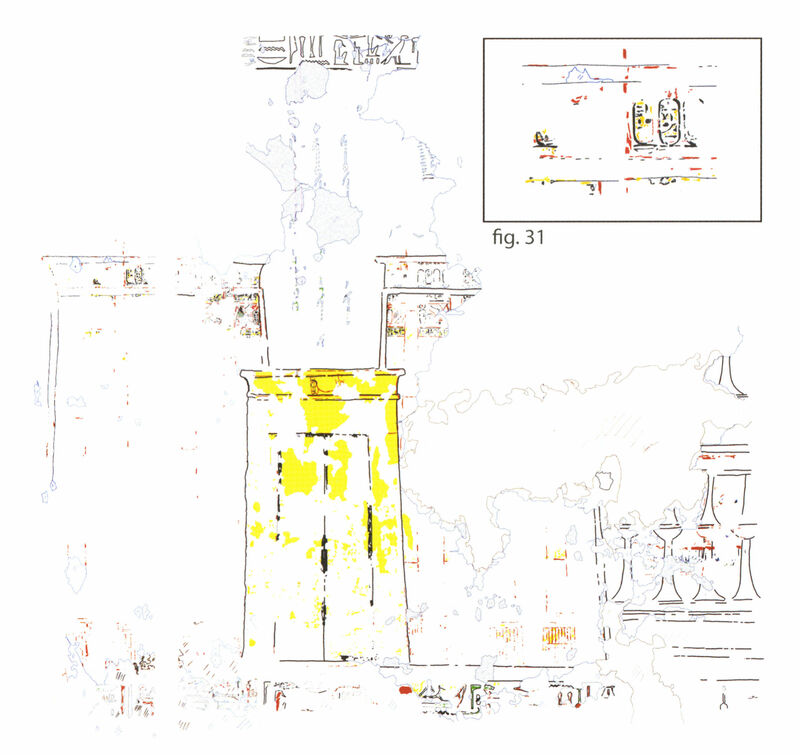 On the other hand, a more complex color representation is provided for the raised relief pylon remains found on the wall in TT 157 (Figs. 30-31.). Introducing color as and additional graphical aid certainly helps with the visualization of these fragile pigment traces. Damage outline is shown only by outlines, mostly representing general block lines. Damage details are indicated in very light grey when more elaboration is necessary. Occasionally, deep cuts interfering with carved lines appear on the drawings, filled with solid black or light gray texture. The article this post is based on appeared in “The Ramesside Period in Egypt: Studies into Cultural and Historical Processes of the 19th and 20th Dynasties. Edited by Sabine Kubisch and Ute Rummel. Sonderschrift des Deutsches Archäologischen Instituts Abteilung Kairo (SDAIK) 41, 2018.”, which can be purchased through Amazon US, Amazon UK and various other retailers, such as Barnes&Nobles. 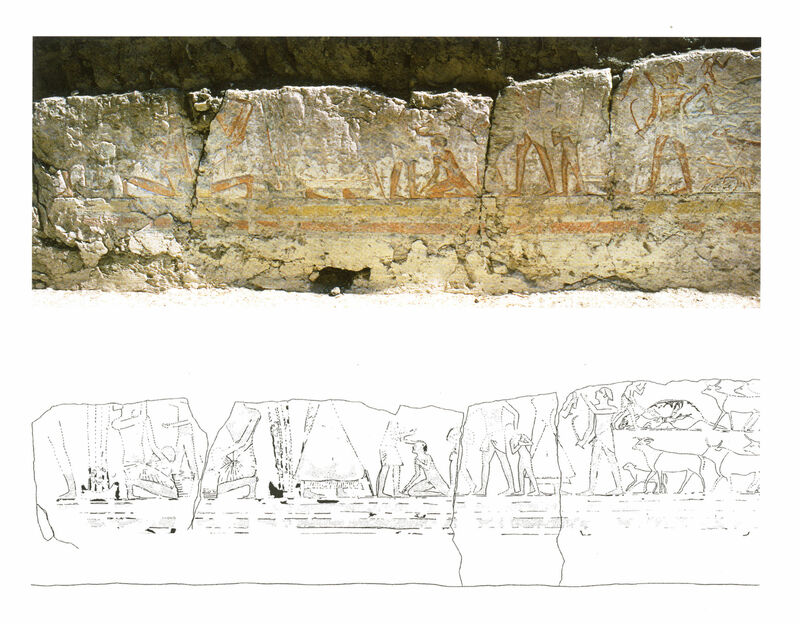 The conservation and documentation of the tomb of Senneferi (TT 99) at Luxor was carried out between 1992 and 2002 by the Cambridge Theban Tomb Project, under the leadership of Nigel Strudwick. 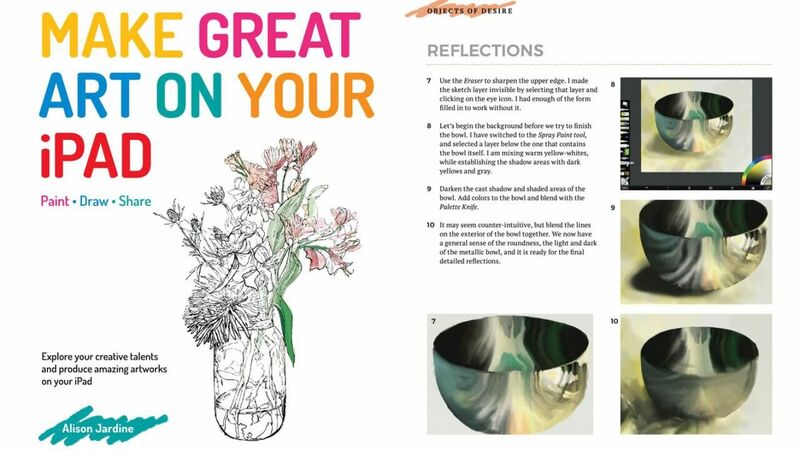 In this somewhat unconventional entry, digitalEPIGRAPHY would like to draw your attention towards the general understanding of what using computers in producing art really means.